The International Federation for Family Development (IFFD) Foundation is a global project that helps families. 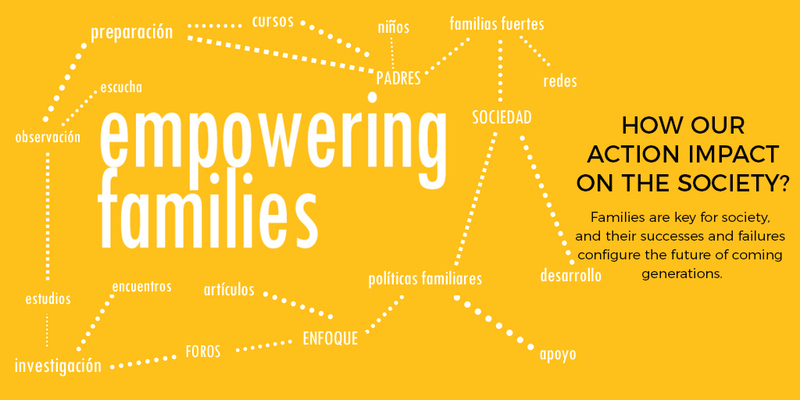 Based on three strands of action –family enrichment, family research, and family policy-making–, the foundation develops parenting and marriage programs, empirical studies on family and social trends, and offers a family perspective in forums. IFFD Foundation supports The International Federation for Family Development (IFFD), a non-profit organization with consultative status at the UN which has been working for families since 1978. The IFFD is the largest international civil society organization devoted to family development. With more than 30 years of experience, the IFFD encompasses 200 family enrichment centers and a network of 7150 volunteers from 66 countries. IFFD Foundation also supports the activities of The Family Watch, International Institute for Family Research (TFW), a leading Spanish think tank that researches the role of families. Established in 2008, the institute has gained widespread recognition in Spain. Supporting programs for couples based on the case method, a useful approach for encouraging dialogue about real-life situations. Implementing scientific studies on the role of families from an interdisciplinary perspective. Promoting the family perspective in international institutions. Daniela Bas, Director of the Division for Social Policy and Development (DSPD) at the United Nations Department of Economic and Social Affairs (UN DESA).